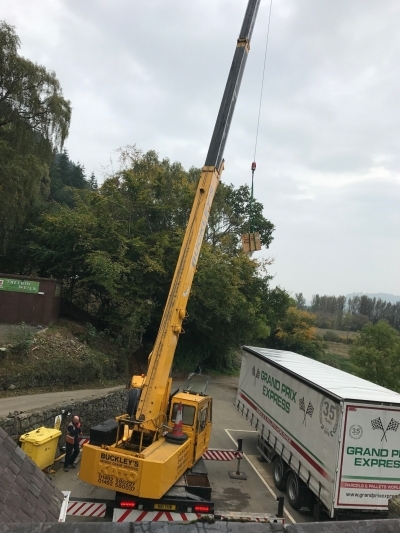 Recently we have carried out an installation of new units in Snowdonia. There were four units in the offices, some production rooms and labs. One of the biggest challenges was the great thick stone walls which we had to core drill through. The biggest challenge was getting the units on the roof, this involved a crane to be able to reach that high. Challenge accepted and Emma organised the crane with RAMS.